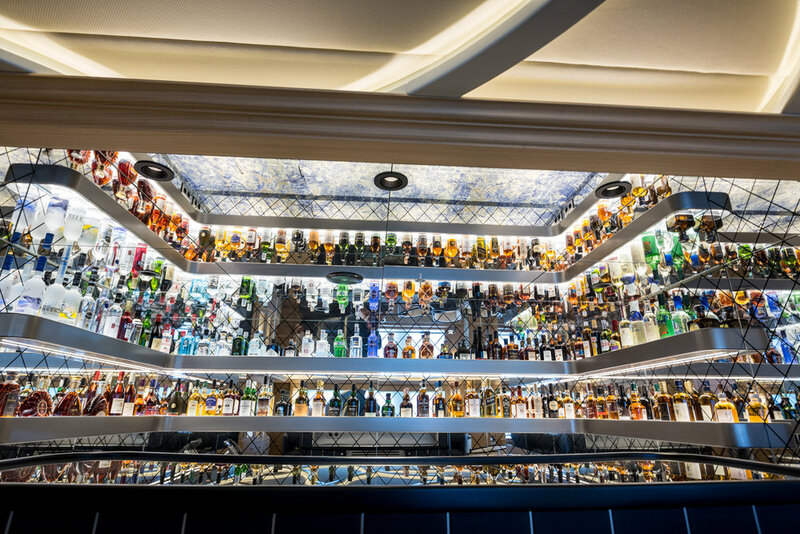 From classic to contemporary to the purely imaginative, our expertise is unmatched. 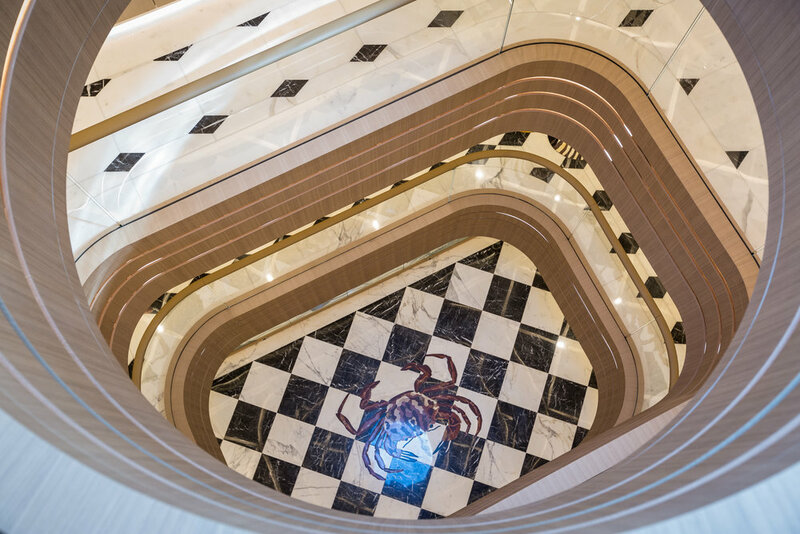 With over a decade of experience as a luxury interior manufacturer, Genesis lnteriors is a world leader in its class. 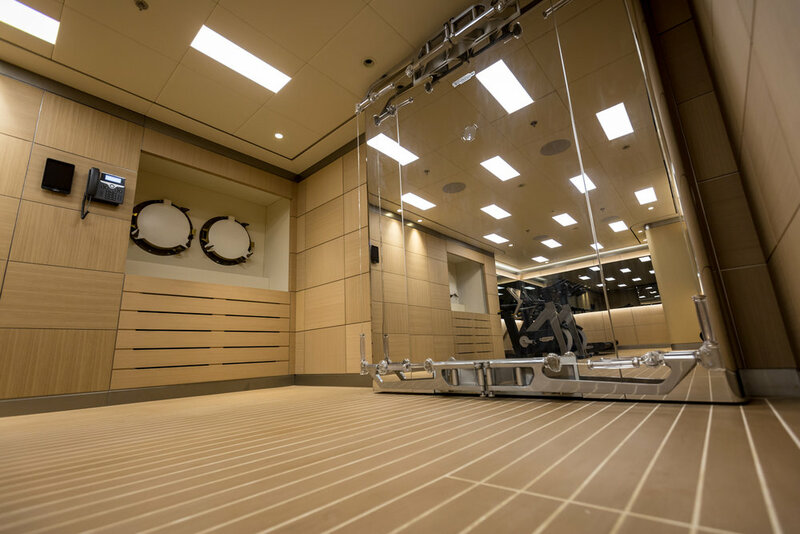 We create an actual scale mock­up of each yacht interior that is completely pre-assembled at our facility in order to ensure a per­fect fit. 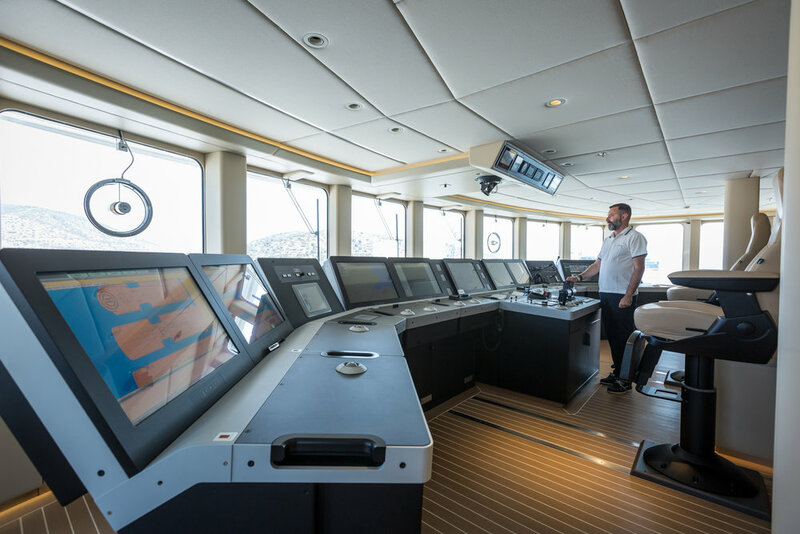 Then we disassemble it, ship with care and install it aboard the vessel. For this purpose, we have developed and patented an innovative pressure panel assembly system: the Fit-Lock system. 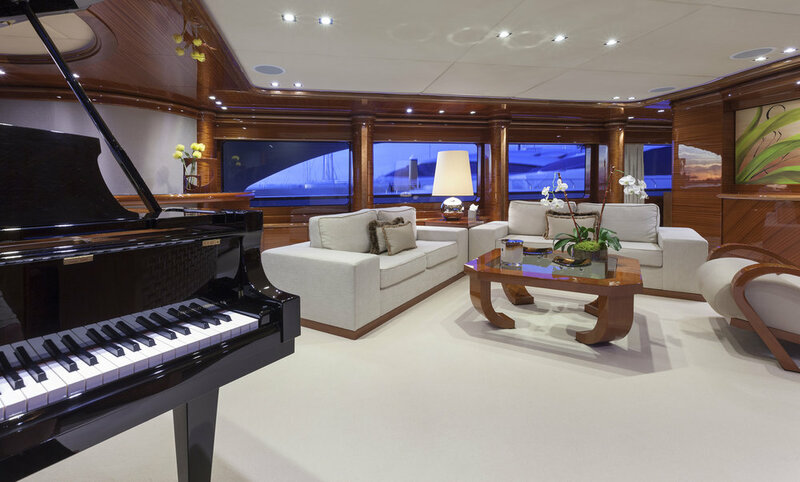 This system is versatile, efficient and precise, facilitating yacht interior inspections and maintenance. 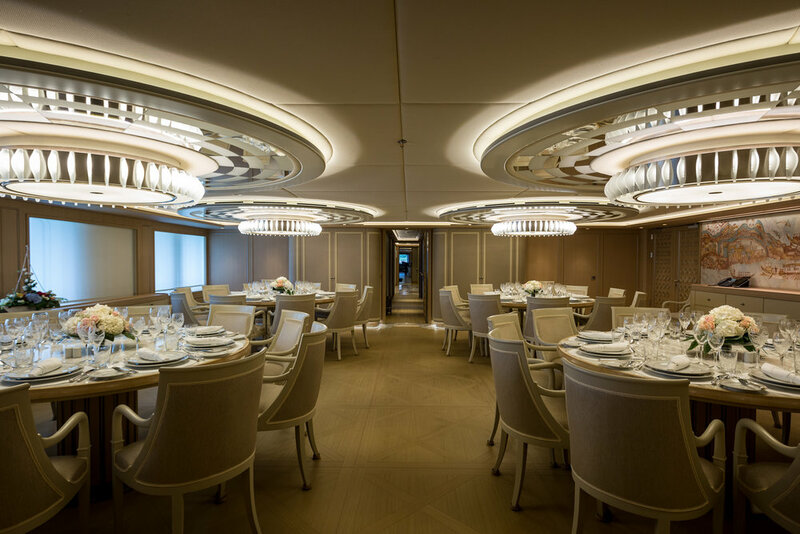 Recently completed: 106-meter superyacht DREAM started out as a passenger vessel and following an extensive refit is now the 38th largest superyacht in the world. 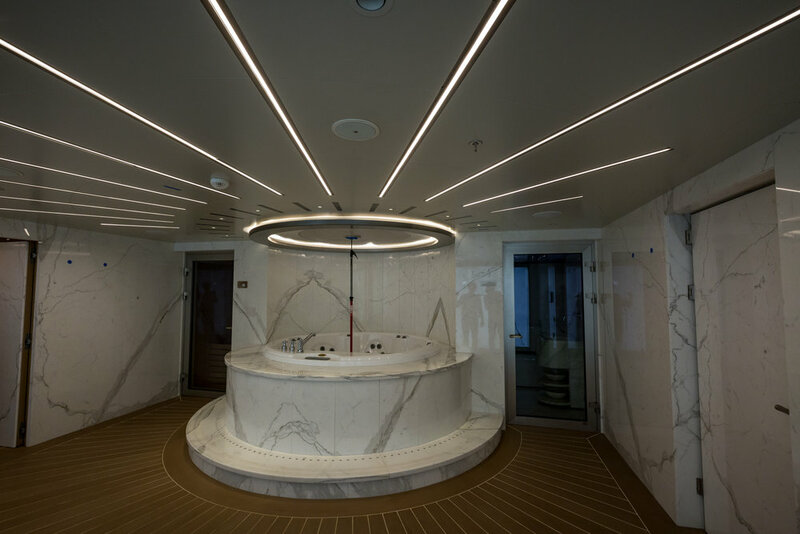 With a new interior designed by Ciarmoli Queda Studio (CQS) and crafted by the artisans at Genesis, DREAM has been transformed into a 23-stateroom vessel of impeccable quality. 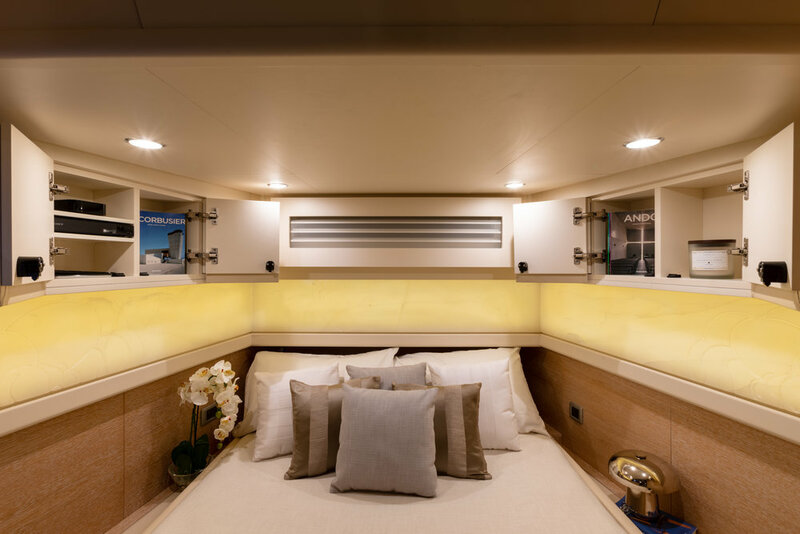 First of a series of boat, Scout 530 LXF is a revolutionary concept in the center console boats world. 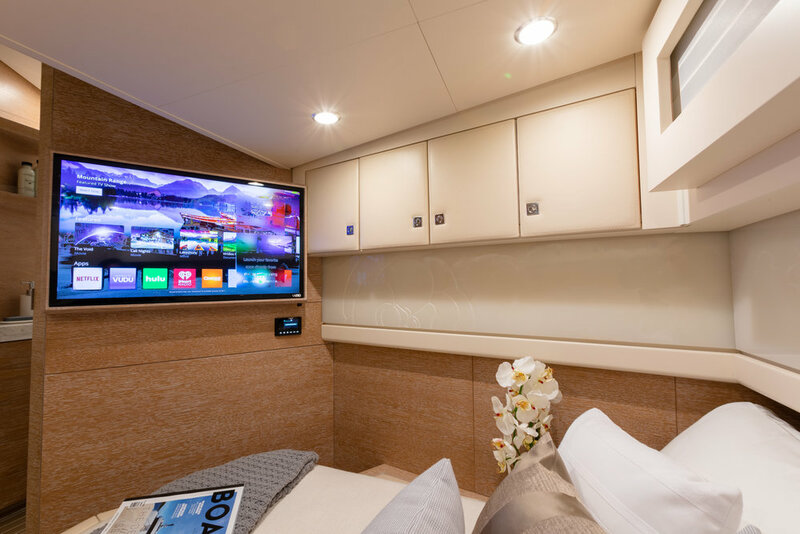 The advanced technology and fine interiors are marking a turn point in the boat industry. 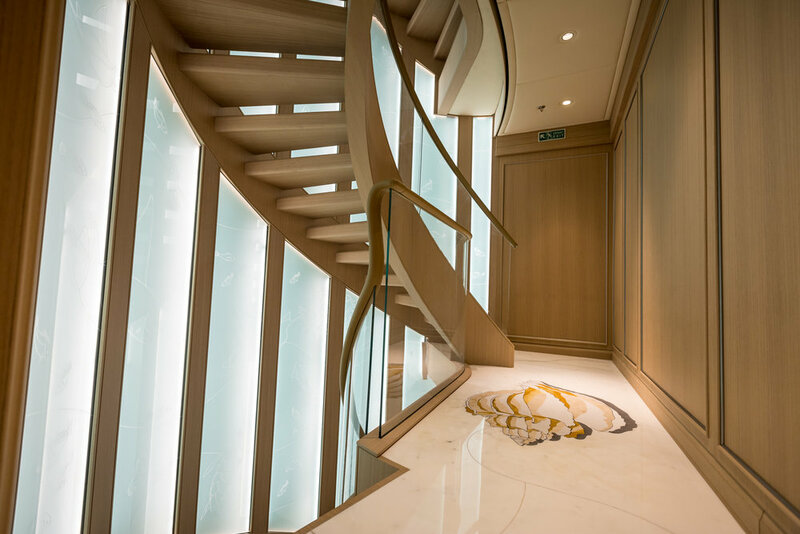 Genesis is proud to be part of this project supplying all the interior wood working and custom made furniture and delivering a super yacht quality interior that is completely new for this size boats. 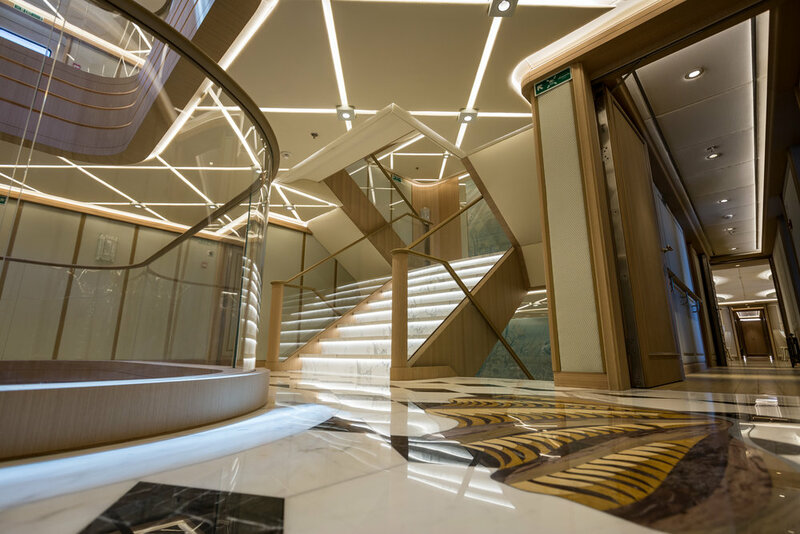 After the success of the Imagine 160’, Trinity partnered again with Genesis and designer Sylvie Charest on a larger new yacht project. 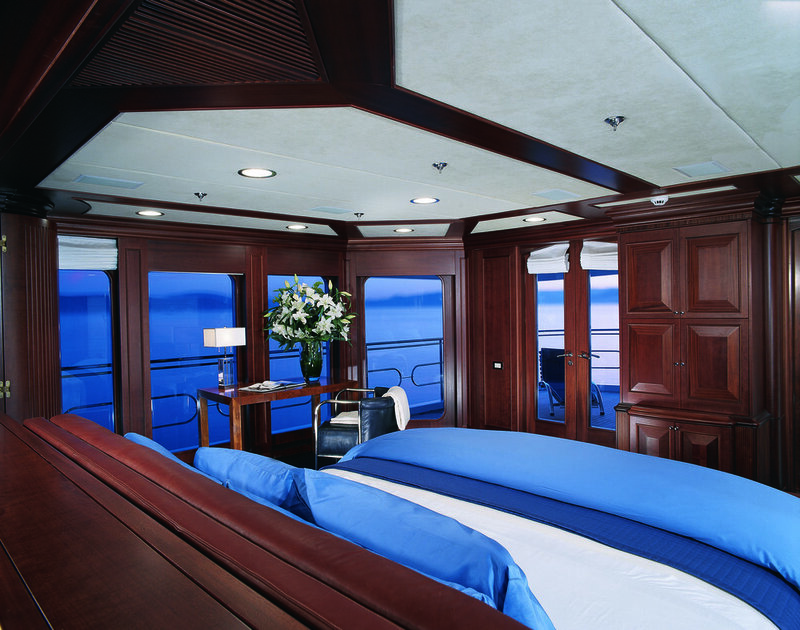 The Imagine 190’ has a more contemporary design with trend-setting veneer, soft colors and high gloss finish. A challenge transformed into another success. 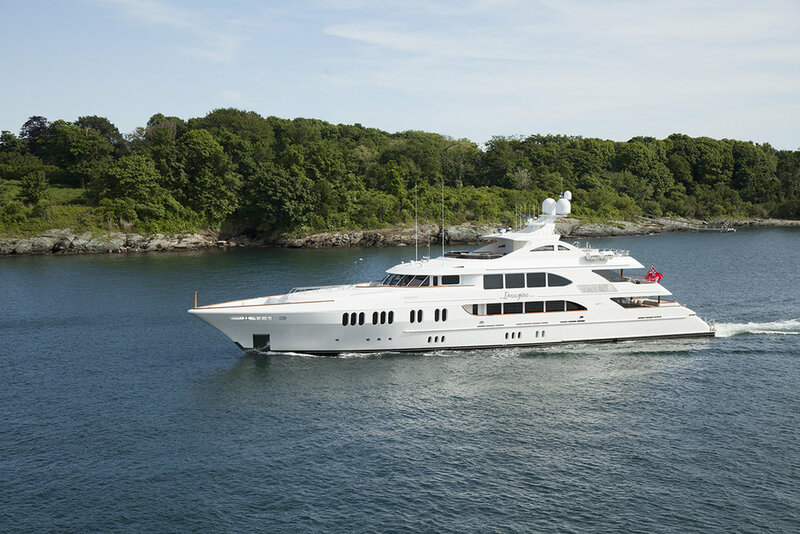 Genesis’s first collaboration with Trinity Yachts (New Orleans, LA) and Canadian designer Sylvie Charest. The result speaks for itself. 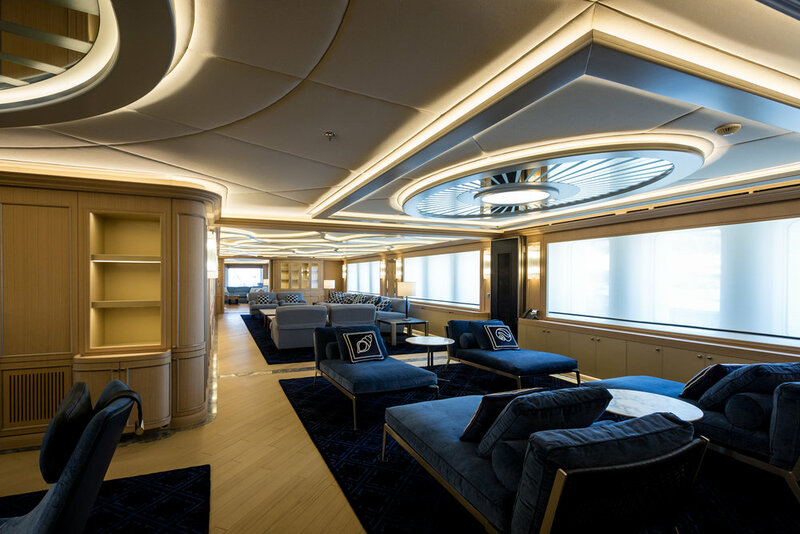 The epitome of class and elegance, the interiors of Imagine 160’ are among the most beautiful that Genesis has ever delivered. 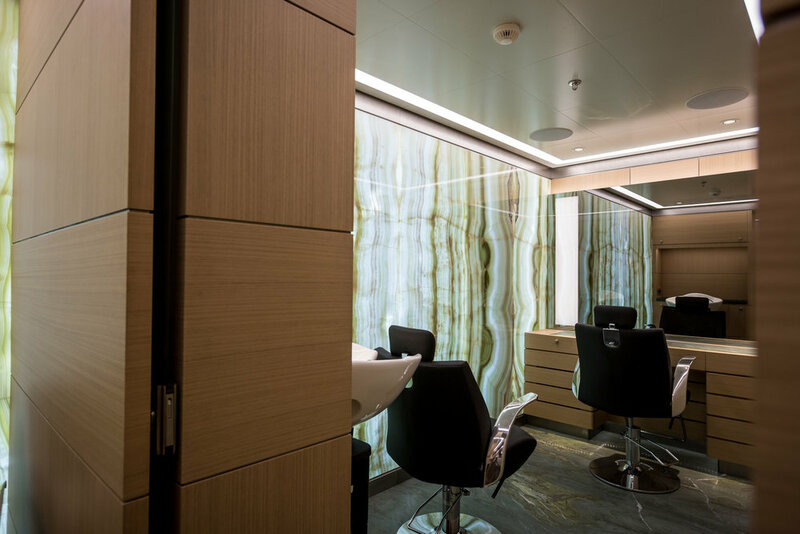 Highest quality, customer satisfaction and on-time delivery are, once again, the main hallmarks of Genesis. 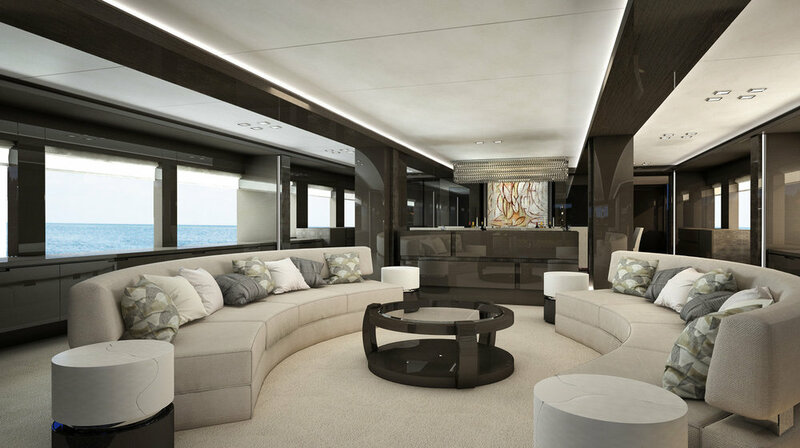 Welcome to Genesis 153 and to a innovative and enlightened concept in yacht design. 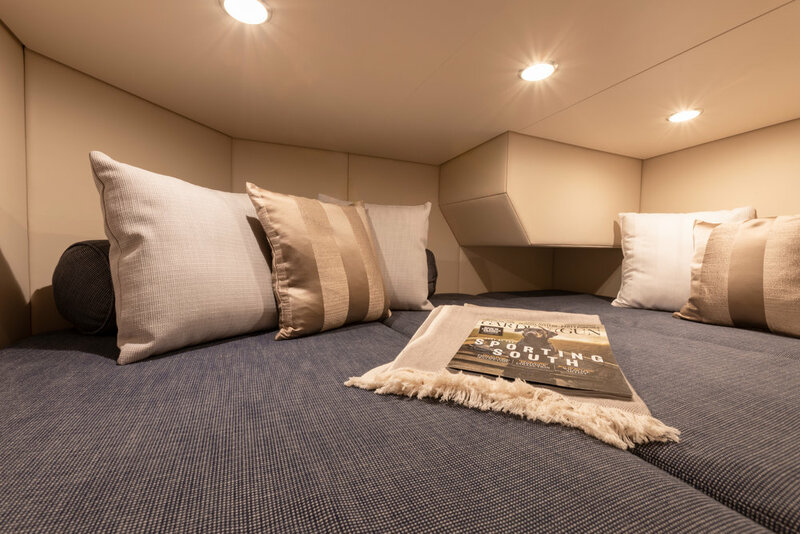 This fine vessel, which offers some of the most spacious accommodations available in a boat of her size, comes fully equipped to be used by a person on wheel chair. 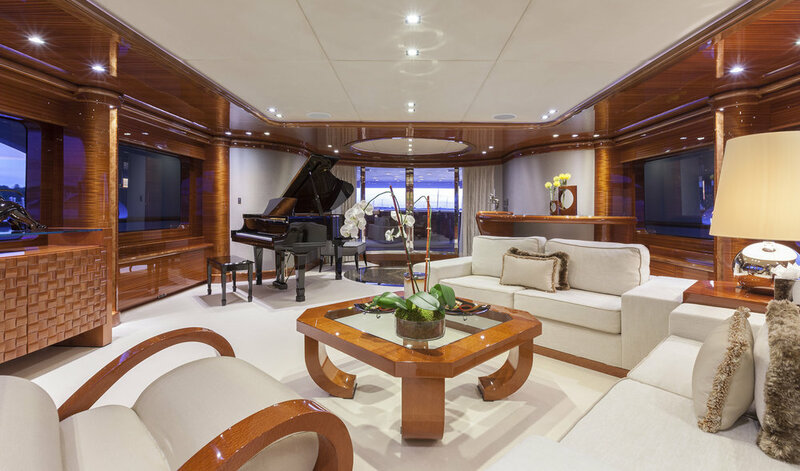 Other than being truly user friendly, this yacht has a unique taste thanks to the stunning interior design and the choice of Ralph Lauren furnishings and textiles. 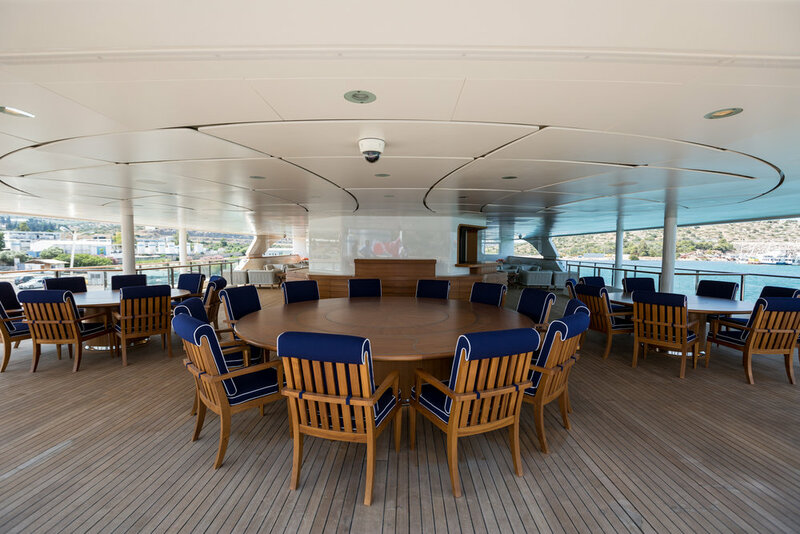 An icebreaker-turned-expedition-yacht with a bright-red hull, Giant has a garage for a four-by-four as well as a plethora of other toys, including two 40-foot sportfishermen, a handful of PWCs and RIBs, windsurfers, waterskiing and snorkeling equipment, a kayak, and even mountain bikes. 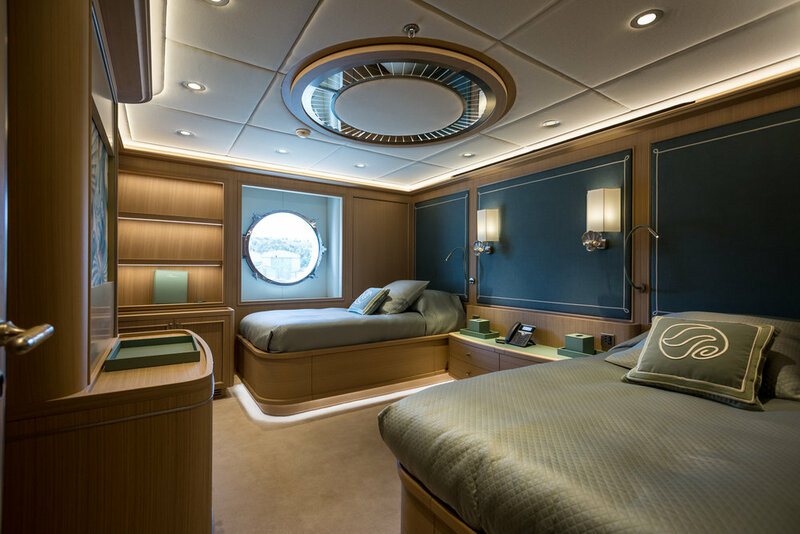 The master stateroom has its own lounge with a bar and there are accommodations for up to 28 guests that can enjoy, among the others, media room, gym, sauna and jetted bath.